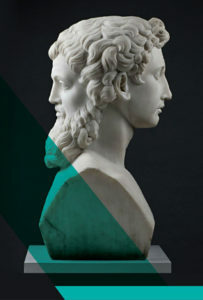 Debate: 5:30 – 6:30 p.m. 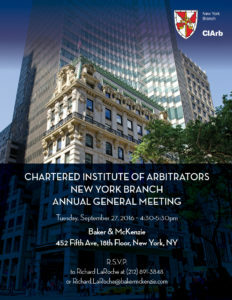 Reception: 6:30 – 8:00 p.m.
On October 29, 2018, Sidley, in conjunction with CIArb New York and CIArb Canada will host a debate discussing the pros and cons of Ad Hoc vs. Institutional Arbitration. There will be no charge for the debate or reception. Space is limited, however; registration is required and early registration is recommended. 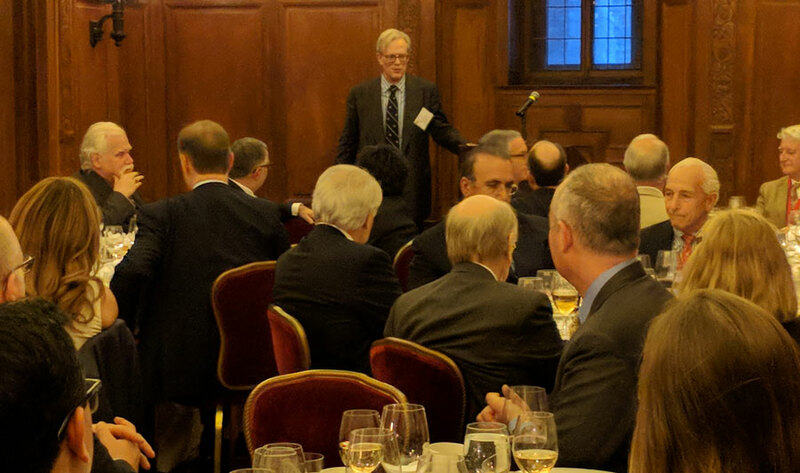 CIArb NY Branch Chair and Institute Deputy President Thomas Halket addresses NY Branch members and Comprehensive Course faculty and students at the University Club of New York, June 5, 2018. When: Thursday, April 6, 2017 at 12:30 – 2 p.m.
Overview: A social event for CIArb members and friends active in arbitration. When: Thursday, October 2, 2014, 6-8 p.m. 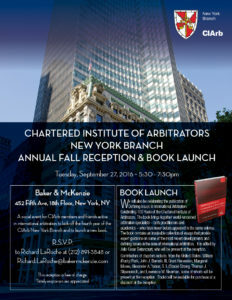 When: Tuesday, October 1, 2013, 6 p.m.
To celebrate this and also the commencement of our activities as a branch, the New York Branch will be holding a kick-off reception. Our guests of honor will be Anthony Abrahams, Director General of the Institute, and Prof. George Bermann, Columbia Law School.